S. David Jackson obtained his Ph.D. from the University of Glasgow in 1979. He was an ICI postdoctoral research fellow at the University of Hull for three years before joining ICI plc in 1982. For the next 18 years Professor Jackson was a senior scientist with ICI, his last role was that of Synetix RT&E Group, Strategic Technology Manager, which had a remit for the development of new science areas. He joined the University of Glasgow in 2000 as Professor of Catalysis Science. 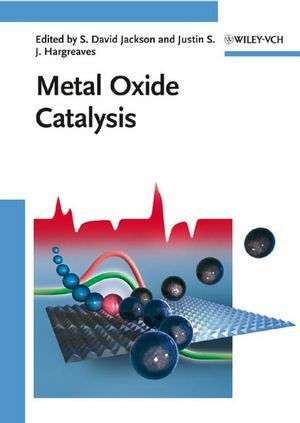 His research interests lie in the areas of metal catalysed hydrogenation, heterogeneous catalysis in fine chemicals synthesis, catalyst deactivation, dehydrogenation and adsorption. He has over 140 publications in the area of catalysis, and is author of 13 patents. He is currently a member of the Editorial Board of Current Topics in Catalysis and was a member of the Editorial Board of Applied Catalysis A, from 2004­2007. He has served as treasurer (2005-2007) and secretary (2003-2005) of the European Federation of Catalysis Societies and is currently chairman of the Royal Society of Chemistry's Surface Reactivity and Catalysis subject group.